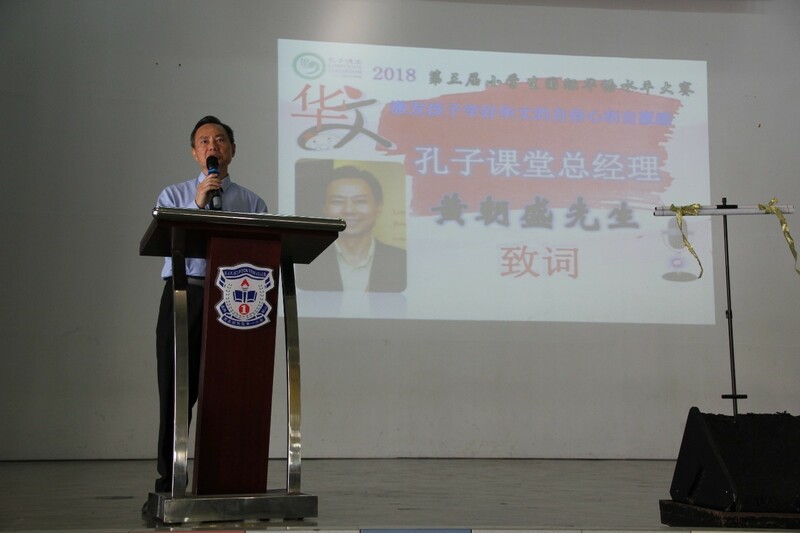 Crestar Education Group’s Confucius Classroom (Crestar), Singapore collaborated with SJK (C) Foon Yew 1, Johor and the Association of South Johor Chinese School Teachers to hold the 3rd International Chinese Language Proficiency Competition for Malaysian Primary School Students in Johor, Malaysia on 29 September 2018. It was the first time that such a competition was held in Johor. 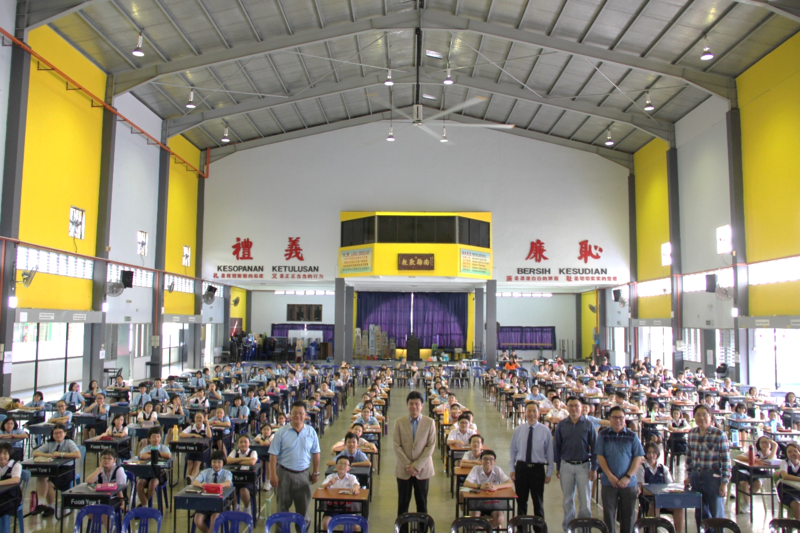 The competition, which aims to promote proficiency in the Chinese language comprises two categories – one for Upper Primary (Primary 4 – 6) and another for Lower Primary (Primary 1 – 3). 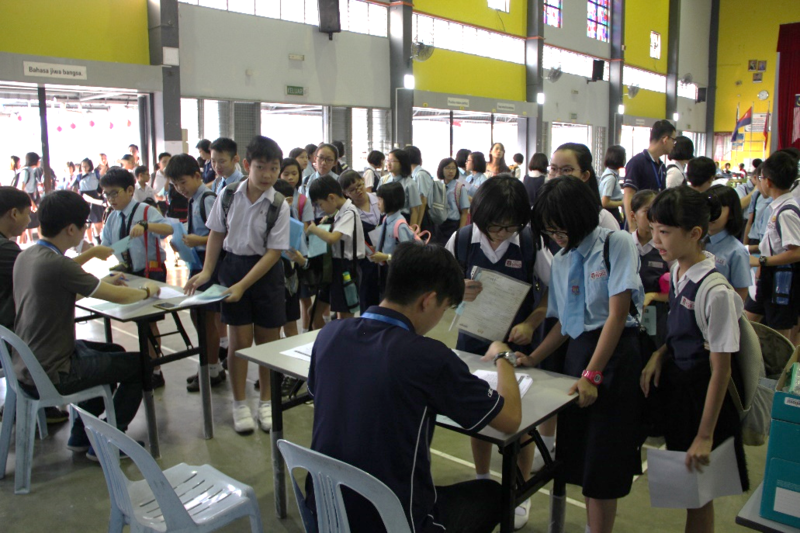 A total of 238 students from 13 primary schools in Johor, mostly accompanied by their parents, participated in the competition. They competed for 28 group and 10 individual prizes in the Chinese Proficiency Test (HSK) Level 5 and Youth Chinese Test (YCT) Level 5 tests. 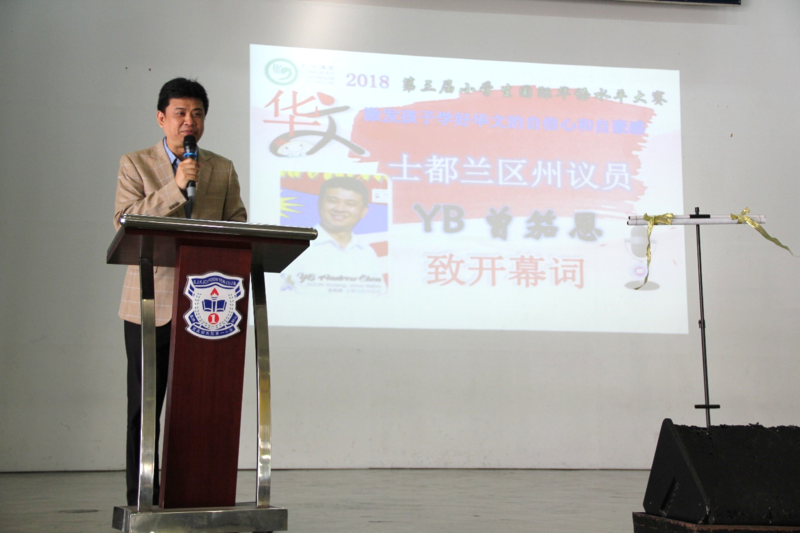 The opening ceremony was graced by Guest of Honour Mr. Andrew Chen Kah Eng, DAP State Assemblyman for Stulang, Johor, and Mr. Soh Lip Leong, Chairman of Association of South Johor Chinese School Teachers and Headmaster of SJK (C) Foon Yew 1. Confucius Classroom (Crestar) was represented by its General Manager, Mr. Ng Tiow Seng. 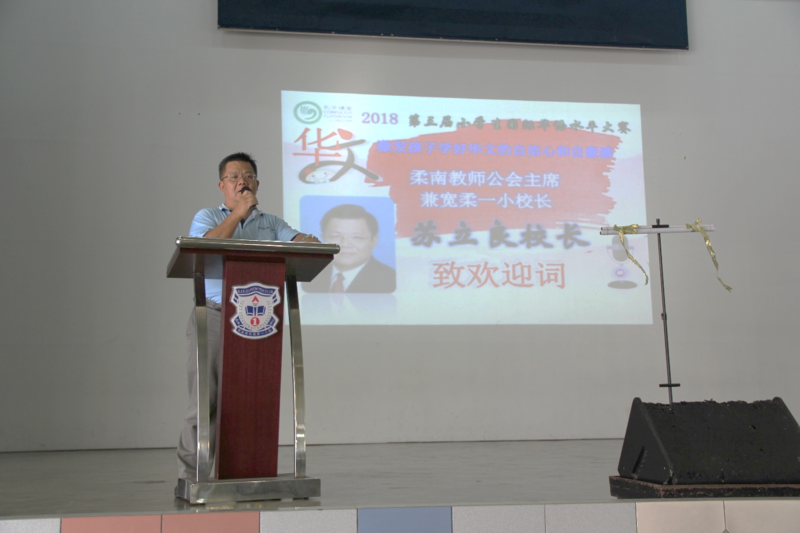 In his speech, Mr. Chen encouraged the students to excel in the learning of the Chinese language as it would give them an advantage in their future careers. The competition was facilitated by Ms. Ni Hui Chun, Manager of Confucius Classroom (Crestar), Singapore. 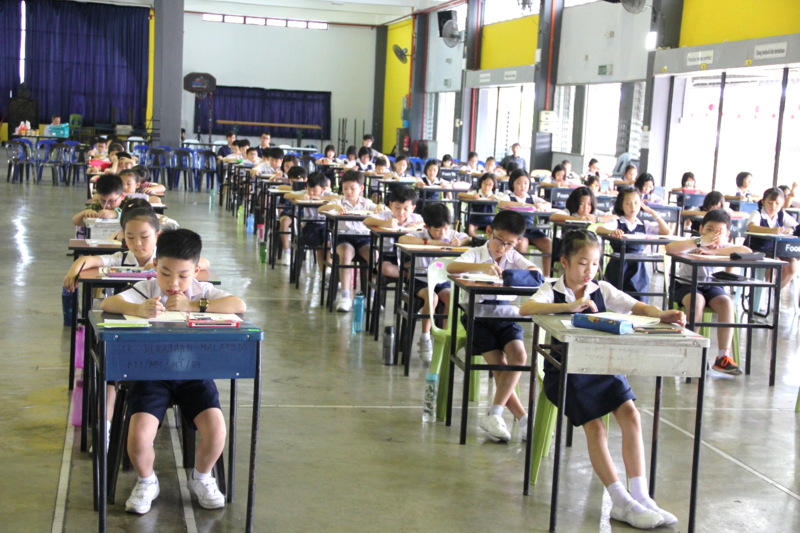 The 100 minute-long test for the Upper Primary category was held in the morning, while the Lower Primary category test was held in the afternoon. A similar competition for the Kuala Lumpur region was held at SJK(C) Kepong 1 on the same day. There was a lot of enthusiasm for the competition, as parents were looking forward to have more of such activities to help boost the learning of the Chinese language for their children. 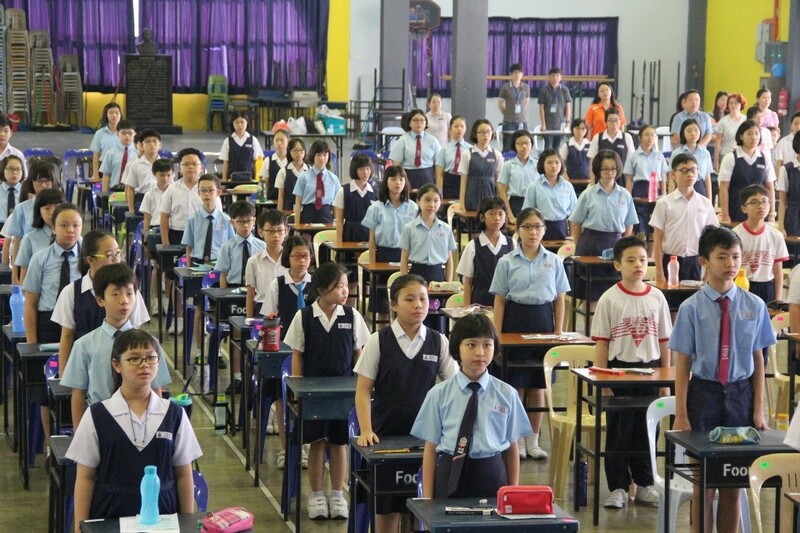 The 3rd International Chinese Language Proficiency Competition for Primary School Students (Malaysia Division) was hosted by Confucius Classroom (Crestar), Singapore, and co-organised by Persatuan Guru-Guru Sekolah Cina Johor Selatan, SJK (C) Foon Yew 1, Johor, SJK(C) Kepong 1, Kuala Lumpur and Crestar Education (M) Sdn Bhd, Malaysia. 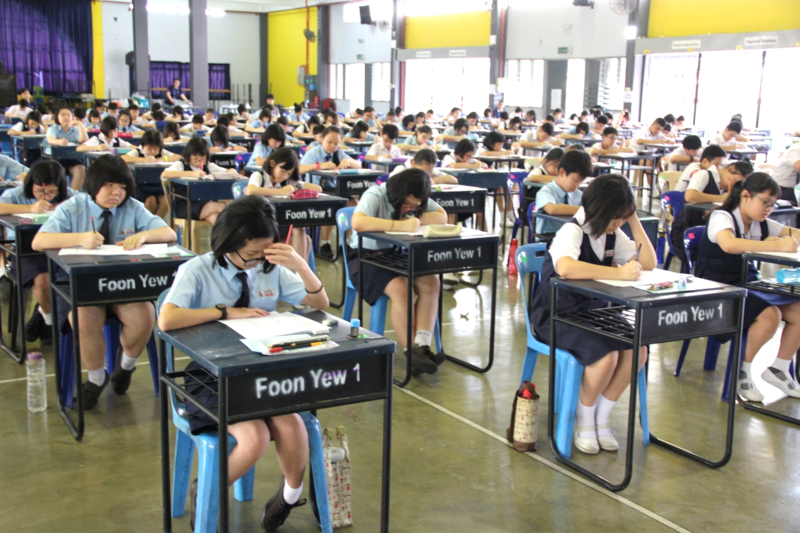 The competition was also supported by the Johor Education Department, Chinese Hanban/Chinese Test International (Beijing) and HSK Centre (Crestar) Singapore. Sing Chew Daily¸ one of the largest Chinese newspapers in Malaysia reported extensively on the event.